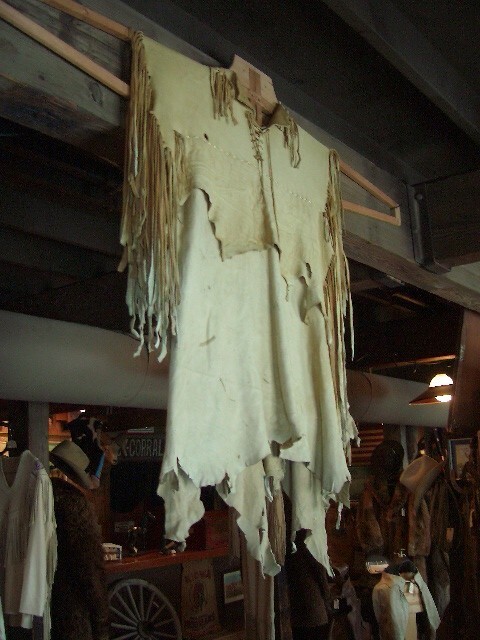 Old XXL Buckskin Shirt with fringe. Great wall display in log home or wear it at that next Mountain man/ woman rendezvous. (Not Native American made). Old XXL Buckskin Shirt with fringe. Great wall display in log home or wear it at that next Mountain man/ woman rendezvous. (Not Native American made). Please email cowboyron@cowboycabin.com with questions or call 406 270-2842.